Want a new compound bow but don’t want to pay $1K or more? Then check out the $699 Bear Archery Divergent. Bear Archery recently announced the launch of an all-new compound bow for 2019. The Bear Archery Divergent is rooted in inspiration from Fred Bear, the company’s founder, who developed a legacy of innovation and a heritage of introducing new technologies that are accessible to everyone. 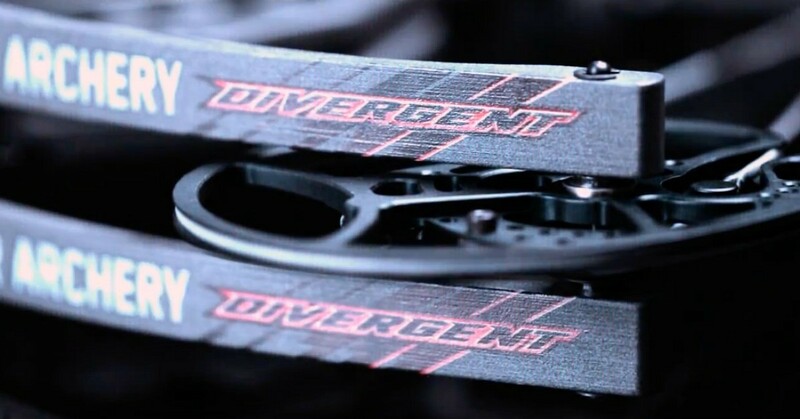 Designed for the whitetail bowhunter in mind, the Divergent offers amazing performance in a 28-inch axle-to-axle bow that weighs only 3.9 pounds. With speeds of 338 fps, the Divergent’s compact platform and hybrid cams are shooter-friendly. And check this out: In terms of price to performance, the Divergent delivers in spades; MSRP is only $699.99. The Divergent is equipped with the HingeGuard System, which reduces lateral load, NaroGrip to eliminate hand torque, and the ShockWaves limb dampening system that reduces vibration and noise. The draw length is adjustable from 25.5 to 30 inches, with a 6.5-inch brace height. The Divergent is available in draw weights of 45-60 and 55-70 pounds, in both right- and left-hand versions. Archers can choose from six finishes including Realtree Edge, Veil Stoke, One Nation Midnight, Kryptek Highlander, True Timber Kanati and Iron. Watch the short video below to see detailed views of the new Bear Archery Divergent. Founded by the iconic father of modern archery, Fred Bear in 1933 with the intention of bringing archery to the masses, Bear Archery continues to produce legendary bows with the same focus on reliability and technology while maintaining its rich heritage of innovative leadership, quality products, and family values. Bear Archery is a division of Escalade Sports. For information on Bear Archery, its products, brands, instruction manuals, retailers, warranty, replacement parts or customer service, click here.